When I’m looking for inspiration I always check some retro ads. This time I’ve found some of a classic car the AMC Gremlin. This are some examples with code snippets for the post about Grayscale Hover Effects with HTML5 canvas and jquery. If you have any questions about the code, please use the commentform in the article. 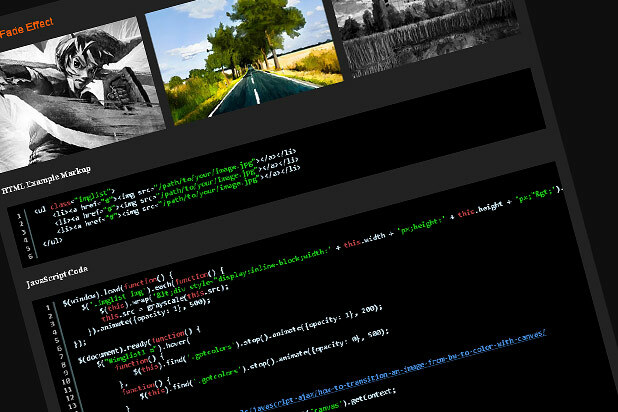 I saw a tutorial on webdesignerwall.com showing how to make a HTML5 Grayscale Image Hover and thought this is very cool. After some research I’ve found another tutorial on Nettuts+ with another function. This one was better for me to understand(video tutorial), so I combined the snippets together and reduced the jQuery code for my needs. Finally I’ve created some different hover effects. In the future there will be CSS Shaders to do something like that. For more information check out this article about CSS Filter Effects on Adobe.com.